NOTE: Google version is now live in Play store per december 2015: http://gmailblog.blogspot.nl/2015/12/add-to-dos-to-your-google-calendar. On the verge of delivering an App-as-a-Research-Tool (ART) myself, behavioral psychologist Dan Ariely , teacher of the MOOC on Irrational Behavior, notified me of Timeful App. Although it has been a few minutes since our class has been in session, I am hopeful that you remember our discussions on self-control – and particularly with regard to time management (does “hyperbolic discounting” ring some bells?). In line with the research that we’ve covered, a team of brilliant minds (and also myself) have designed an app to help us when we need it most. Timeful is a time assistant that (among other things) helps you put your To-Dos on your calendar so that you actually get them done. Learn more here. Timeful learns about you over time, so the more you use it, the more useful it will be. Try it out, and let me know what you think! Yet another researcher providing apps to (1) build knowledge and (2) guide behavior. Nice. What is the psychological state of an overture we feel to be ‘out there’ or ‘on the record’ that makes it feel so much more akward than a veiled overture that is conveyed indirectly? The key to this paradox is stated as mutual knowledge (as opposed to individual knowledge), where explicit language is an excellent way of creating mutual knowledge. Science builds on such explicit language. But why is it then that humans are so skilled in NOT being explicit in language (veiling), as stated earlier in Steven Pinker’s presentation? This helps the imperative get through without the presumption of dominance. Similar, a dialogue by veiling respresentatives during alliance development, whether this is about the EU-bankin problem in 2012 or about alliances between universities, does create a higher change of successful outcomes. At the same time this lack of explicit language can also explain apparent trade offs. Such trade offs are noticable through lack of transparancy, miscommunication, misunderstanding, questionable loyalty and intentions. Such trade off in developement is explained by Bateson and Gluckman (Plasticity, Robustness, Development and Evolution, 2011), stating that Plasticity and Robustess are principles of development that need each other. These principles are not opposites at all. 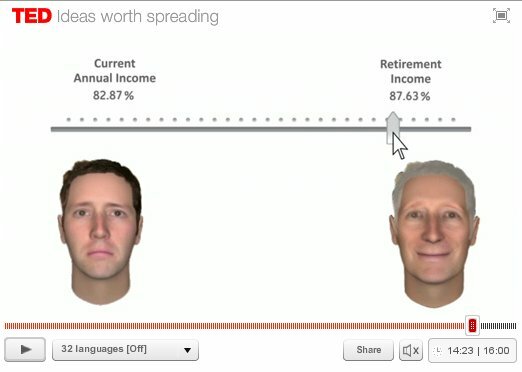 My hypothesis is that visualization helps ‘putting it out there’, while opening a meaningful dialogue. This means visualization should have an open, indefinite, playful character: similar to playing a mutual game looking for a answer of mutual interest, for example while allowing using closed / unidentified pawns (indivdual knowledge) of the other party on a shared canvas. Psychiatrist and writer Iain McGilchrist explains how our ‘divided brain’ has profoundly altered human behaviour, culture and society. This animation was taken from a lecture given by Iain McGilchrist as part of the RSA’s free public events programme. Individual selection of genetic traits occurs when individuals compete with members of the same group on the basis of these traits. Group selection of genetic traits occurs when groups compete with other groups on the basis of interactions of social individuals within these groups. Looking at larger cooperations and alliances, both types of selection occur at once. and group selection engenders cooperative behavior (virtue). How to explain the fact that organisations and teams and governments (formed through both group selection and individual selection) can give rise to competitive behavior as well? For instance, starting a war together with a set of warlords, does both give rise to cooperative behavior and -at the same time- to competitive behavior. The same is through when starting a coalition with a set of universities. Individual selection and group selection have different origins and cause different behavior. Let us not forget they do occur at the same time, and might influence each other as well. Wilson’s alternative (to the mathematical prove against the influence of kin selection) he calls “multi-level selection,” where individual selection and group selection proceed together (with kin selection a continuing bit player). In our eusocial species, that mix of traits makes us “permanently unstable, permanently conflicted” between selfish impulses and cooperative impulses. We negotiate these conflicts endlessly within ourselves and with each other. Wilson sees inherent adaptive value in that constant negotiation. Our vibrant cultural life may be driven in part by it. And here is some critique regarding Wilson’s multi-level selection. It’s not telling you which way to put the slider, it’s just reminding you that you are connected to and legally tied to this future self. He uses a visual reminder to balance out an internal conflict of loyalty. In this case a conflict between a present and a future self. the repetative use of a recognizable visual grid for explaining – or better for reminding – and sharing the conflicts of loyalties at stake. It is all about visualizing trade offs, as a reminder to some elements in ‘the equation of decision making’ that are easily forgotten, whether these elements accidentally repressed or not. 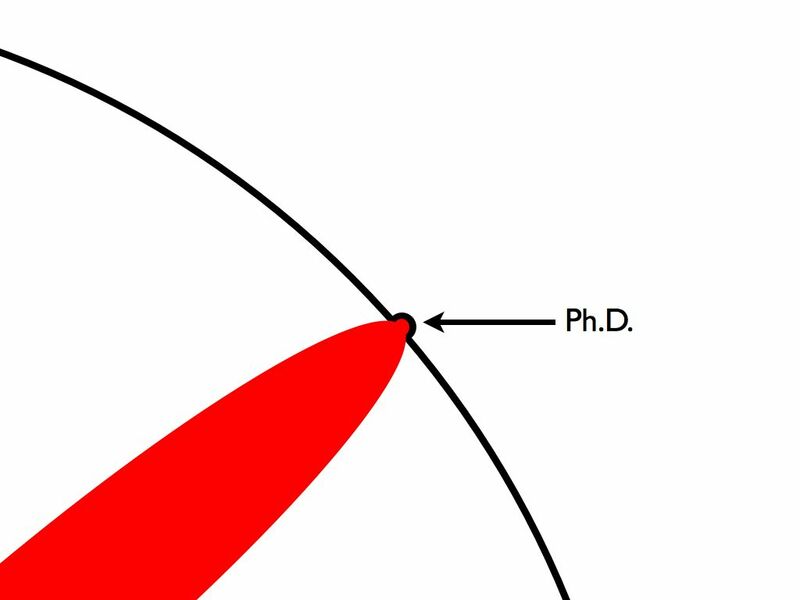 Funny perspective about phd by Matt Might; check his original post. I wonder what differences will occur when splitting Matt’s graph into specialized knowledge, process experience and awareness. Some – dutch – press releases / opinions about the collaboration Leiden – Rotterdam – Delft. article 1) Not a fusion, but a strategic alliance. article 2) This smells like covert fusion. Complexity explained, using the perspectives of different personal styles.